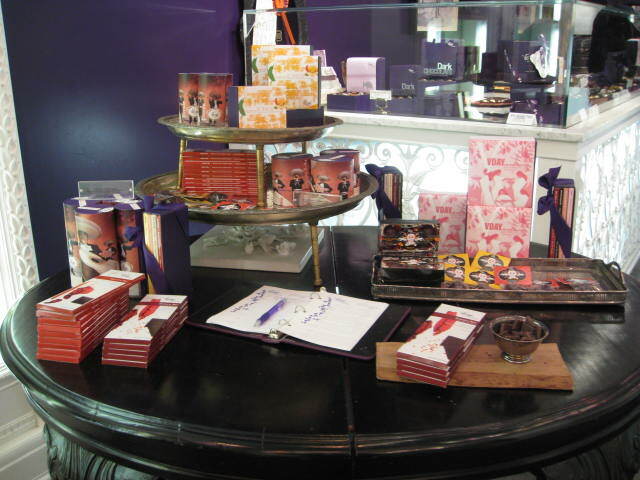 Last year, I was introduced to the awesomeness that was Vosges Chocolate. If you don't know who they are, you better ask somebody!! This is the same amazing company that created my beloved bacon flavored chocolate bars. I remember the first time I tried it with E, he was so amazed with the flavor that he was breaking off pieces of the bar to share with strangers! You best believe he brought me another bar. 1) Them thangs are not cheap and 2) No. No. I ain't sharing my bacon. Now days, I think I need an intervention. My wallet and possibly my belly cannot take it any more. Someone told me I should be careful with all these sweets. I have a semi-serious question: I can't develop diabetes by consuming too much chocolate, can I? Last week when I made a quick visit to NYC for the Essence Women's Conference, I met up with a friend. I offered to take him out for an early birthday dessert. 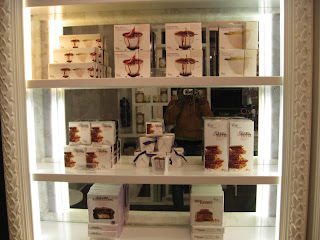 While I was deciding on a fabulous dessert place to take him, I remembered that Vosges has 2 boutiques in the city. I sent my friend a quick text: "Do you like chocolate?" His response: "I looooove chocolate!" 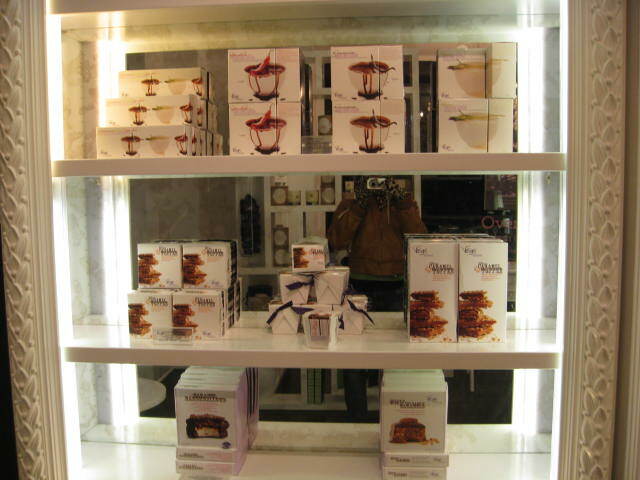 I instructed him to meet me at the Vosges shop near on Madison Ave after happy hour. When I got there I was surprised how small the store was. Clearly, their Soho location is where I need to be because if I'm not mistaken, they serve wine there and that is soooo necessary with my chocolate. Excuse the horrible pictures. I'm not good at this. After sampling many of the eclectic flavor offerings, my friend and I settled on the gingerbread toffee bar. My personal favorites besides for the bacon, is the Fire Hot, and a new addition, the Naga Bar, filled with Indian Curry and Coconut flakes. Yes. I like my chocolate the way I like men. Succulent & spicy. 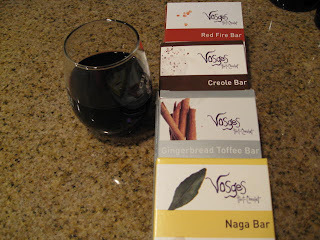 I had such a pleasurable experience with the Naga Bar, I tweeted about it here and here. Follow Vosges on Twitter. 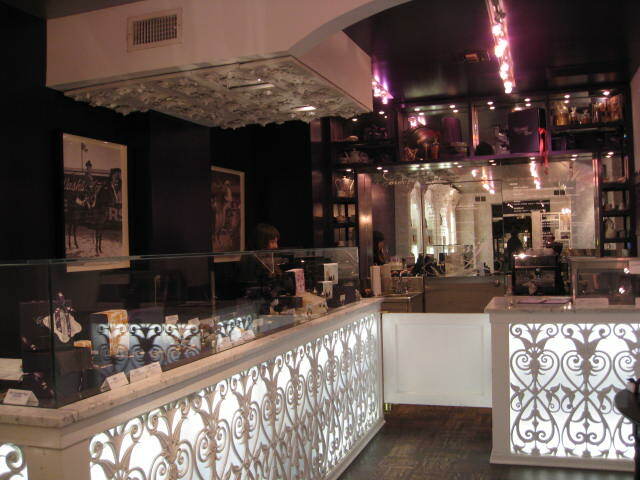 Occasionally they update about new flavors, specials, and events at their boutiques. 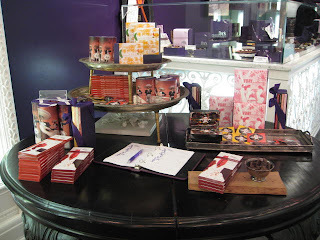 I'm keeping my eye out on the next chocolate and wine pairing event in Soho. I'm sooo gonna be there. There is such a thing as too much chocolate - just as my thighs.